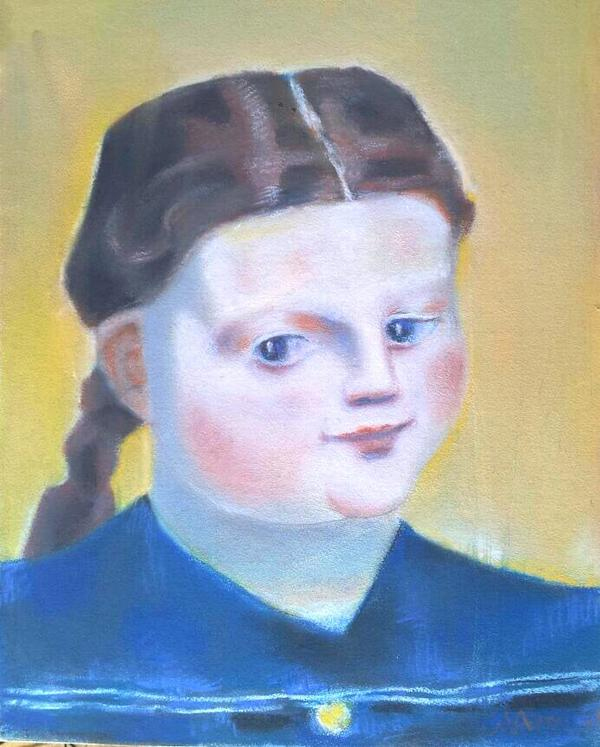 „Portrait of a girl“, 1947, pastelle on paper laid down on board. Signed and dated in the lower right corner: „W. Aerni 1947“. Werner Aerni was born in 1907 in Biberist, Switzerland. He mainly worked as accountant in a finance office. His artistic development began in the 1940ies and 1950ies as student of the Zurich artist Ernst Georg Heussler and of Adrien Holy. Besides painting he was active as sculptor and architect. Aerni died in 1992 in Zurich.